Of course, a powerful desktop computer designated for video editing is a perfect tool for filmmakers. However, if you have plenty of business trips it’s always better to keep all your materials and projects with you. In such case, a decent laptop for video editing is a great alternative. The choice of the best laptop for video editing can be tricky. No one wants to experience pixilated images or get annoyed by the crashing program. We’ll try to help you select a top-notch laptop that will make your video editing a sheer pleasure. Obviously, screen quality is important. When possible, go for a 4k. Good laptop for video editing should have a screen that is sharp enough for tasks like color correction and shading. Another important feature to take into consideration is memory. 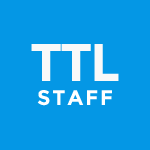 Editing or work with motion graphics always requires space to save plenty of temporary files. Thus, if your laptop has enough RAM you won’t have problems with storage or speed. As 4K footage becomes more and more common, you should focus on it when choosing a laptop for video editing. So, the best option is to pick up a laptop with no less than 8GB of memory. Anyway, you can always upgrade it as most of the laptops allow this. Still, if your budget isn’t restricted and you can afford something more powerful then choose a laptop with 16GB of RAM. Storage is the next thing to consider after RAM. The principle of choice is the same here – the more storage you have the better. Start with not less than 256GB but try to get as much as you can afford. If you have 500GB storage, for example, or higher you will be able to edit small projects even without an external hard drive. When it comes to a graphics card there are two brands to choose from: NVIDIA and AMD Graphics. Both of them have made quite a name and offer products of great quality. Thus, it’s impossible to say which one is better. The choice here depends on the laptop model and your own preferences. Nevertheless, there are some basic points you should know about GPU of your future laptop. It’s always important to pay attention at the recommendations from the chosen NLE software concerning a graphics card. Generally, you’d want to go for GTX 1050 and higher. In most cases, the more cores your CPU has the better. Nowadays, even those processors which are designed to use less power, such as Intel’s mobile Core U-series, have four cores. By the way, you can always test your processor using Cinebench benchmark, a test which shows how fast your laptop is when rendering a 3D image. Note that all results above 700 mean that a laptop will cope with video-editing tasks. It’s not a secret that video editing consumes lots of power. Thus, it’s good to have a laptop with a long battery life. Still, it isn’t the most crucial feature you should be looking for. There’s a high chance that you will keep your laptop plugged-in almost all the time during the video-editing process. One of the reasons we buy a laptop instead of a desktop computer is portability. But not every portable thing is easy to carry. Sure, an ideal laptop is lightweight and it can be a reality. The only thing you should remember is that laptops which weigh less than 3 pounds won’t have a discrete GPU and their displays won’t be larger than 14 inches. Another thing which should be taken into account is size. Of course, a thin laptop looks very stylish. But don’t forget to check whether it has all the necessary ports. Finally, just check whether the best laptop for video editing you have found is comfortable in use namely for you. Does its keyboard is convenient in use? Is its display big enough for your editing tasks? Though this may sound not as serious as processor or GPU characteristics but it does affect the whole process of editing. This detachable PC comes with a full-sized Bluetooth keyboard. You can also use it as a tablet for work in Adobe apps due to its HP Quick Keys, which allow changing the brush size and hardness. Note that HP ZBOOK x2 has also got Thunderbolt 3 ports. HP ZBOOK x2 has 4K multi-touch display with anti-glare effect for comfortable work under the sunrays. 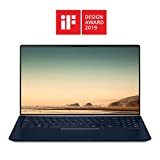 What is more, this laptop is not afraid of overheating as there is a built-in dual-fan active cooling system, which protects its NVIDIA graphics card and Intel quad-core processor from the excessive heat. Need lots of storage? MacBook Pro 15 is provided with a 512GB SSD and has 16GB of memory. Besides, it comes with a 6-core 8th-generation Intel Core i7 processor which guarantees fast performance. This laptop is also equipped with Force Touch trackpad for precise cursor control and Taptic Engine for haptic feedback. As well as HP ZBOOK x2 it has Thunderbolt 3 ports. 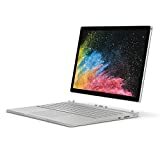 If MacBook Pro 15 and HP ZBOOK x2 are too expensive for you and you need a budget laptop to save your earnings then Microsoft Surface Book 2 is one of the options to choose from. A 7th generation Intel Dual Core i5 Processor will guarantee fast performance while 256GB of storage will take care of plentiful temporary files. Sure, 8GB RAM isn’t the best thing you can find in today’s laptops but it’s quite enough for decent video editing. (Note that there is an option of 16GB RAM as well but get ready to pay much more for it). By the way, Microsoft Surface Book 2 is provided with a vibrant PixelSense touchscreen and four versatile modes of use. More often than not, the best laptop for video editing can also be a great gaming machine. That’s the case with the Razer Blade 15 RTX as it’s built for gamers, but ideal for videographers that need a beastly PC for AV work. While everything on this PC is top-notch, the highlight would have to be the graphics card which is the NVIDIA RTX 2060. It comes with 6GB of GDDR6 as well while the machine has 16GB of RAM and a large 512GB solid-state drive. Whether you are editing 4K movies or playing your favorite FPS game in Ultra mode, this laptop can handle it all, and the vapor chamber cooling system will keep things running smoothly. Color accuracy is key for editors, and while your resolution on the 15.6-inch panel is capped at FHD, it’s color calibrated from the factory. That display has a refresh rate of 144Hz, and the laptop has plenty of pop thanks to the 8th gen Intel Core i7-8750Hx. Other features to note include Razer’s Chroma Keyboard, x3 USB 3.1 ports, a Thunderbolt 3 port, and the Razer Synapse 3 system. If you’re a video editor that needs a multipurpose machine for gaming, the Razer Blade 15 is your best choice. You won’t find another laptop that’s built this well with the same specifications, and while it’s expensive, you get what you pay for. That said, if you don’t need Chroma lighting or other gaming-centric features, there are more affordable options on our list. Acer’s Predator lineup is a brand gamers will be familiar with, and the Helios 300 is a fine choice for video editing as well. That’s due in part to the specifications although the price tag is what initially drew us to this PC. This is another portable gaming rig with a dedicated card in the GTX 1060 which has 6GB of VRAM. It’s not on the level of the Razer Blade 15 when it comes to graphics, but everything else is top of the line. It has a 15.6-inch FHD display with a refresh rate of 144Hz and also has 16GB of memory under the hood. The hard drive is smaller at 256GB, but still solid-state so you’ll have plenty of speed. All the usual boxes are checked when it comes to connectivity with the Helios 300. Bluetooth and dual-band Wi-Fi are present and accounted for along with a USB Type-C port and Gigabit Wi-Fi. There are also a couple of 2.0 ports, a regular 3.0 port, and an SD card reader. Cooling is excellent as well with dual all-metal AeroBlade 3D fans. Like most laptops built with gaming in mind, the battery life could be better on this one, and it can get a little warm regardless of those fans. It’s also heavy at 5.5 pounds, but that’s due to all the tech under the hood and the overall design. Overall, it’s a great laptop for editors that don’t want to spend a fortune and need a sturdy machine for home use. While gaming laptops can be a great way to get the power you need for video editing, their design is not everyone’s cup of tea. If you need something a little more casual, the Dell XPS 9570 may be the answer with its slim design and stunning display. The Dell XPS 9570 is still in the 15-inch class, but Dell made the most of this display by giving it an Infinity Edge. It can hit 400 nits and has a resolution of 1,920 x 1,080, but there’s a UHD version with a touchscreen as well if that’s more your speed. The innards stay the same, however, so both models have the GeForce GTX 1050 Ti. An Intel Core i7-8750H powers this machine along with 16GB of DDR4 RAM. File access and boot times are fast thanks to the 512GB solid-state drive, and a sturdy aluminum chassis ties everything together nicely. Overall, it’s a great looking, durable laptop but we aren’t big fans of the keyboard given how much space is wasted. 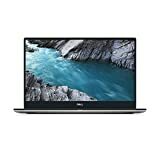 The Dell XPS 9570 doesn’t disappoint where it counts, which is under the hood and it has enough ports to keep most folks happy. The build quality is top-notch, and the battery life is strong as well. Quality control seems to be a bit of an issue in some regards, so you will want to give this one a thorough inspection straight out of the box. 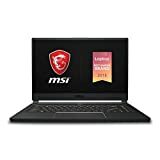 MSI is a brand that tends to pop up when we’re looking for powerful laptops, and the GS65 Stealth-002 is one powerful PC. While the price tag may rule it out for some, it’s well worth your time if you’re dealing with 4K or VR content. The popular Intel Core i7-8750H makes another appearance in the Stealth-002, and you’ll get the GeForce RTX 2070 under the hood along with 8GB of GDDR6 VRAM. That’s hard to top, especially when you factor in the 32GB of DDR4 memory. You’ll never have an issue with multitasking on the GS65, and storage won’t be a problem with a 512GB NVMe solid-state drive. Flagship features on this laptop include a large glass touchpad, SteelSeries RGB keyboard, and a ThunderBolt 3 port. This beast has an excellent cooling system as well with a total of three fans and six copper heat pipes. Battery life varies depending on how hard you run this one, but the fact it has a 15.6-inch FHD panel without helps so you can squeeze 7-8 hours out of the GS65 in a pinch. The MSI GS65 is the most expensive laptop on our list, but its graphics capabilities are considerably better than the rest. It’s not the type of machine you’ll need to upgrade anytime soon, and it’s an excellent choice for gamers as well for obvious reasons. Durability is something manufacturers like to tout, but an aluminum chassis will only do so much. If you’re looking for an extra layer of protection but want something sleek and portable, the ZenBook 15 could be your next laptop. There’s a lot we love about the ZenBook 15, and it all starts with the display. While still in the FHD class, it’s 15.6 inches with a 92% screen-to-body ratio. A GTX 1060 Max-Q is responsible for the graphics while 16GB of DDR4 let you multitask with ease. A speedy Core i7-8565U and 512GB solid-state drive round things out for the key tech specs along with an IR camera and Bluetooth 5.0. A big bonus of this machine is the MIL-STD-810G certification. In short, it means this laptop can handle rain, sand, vibrations, and drops that would shatter other machines. It’s not something you see with laptops often, especially ones that look like the ZenBook 15. Other standout features include a USB-C port, Gigabit Wi-Fi, and a solid audio system. While the ASUS ZenBook 15 is in the Ultrabook class, it’s ideal for editors on the go that work in extreme locations… or are just clumsy. The battery life is excellent, but the trackpad and a few other issues cause this one to drop some spots on our list. Thankfully, most have been addressed with updates, but this is another PC you’ll want to check carefully out of the box. The rule of successful laptop purchase is simple – write the list of options and features you need first and foremost taking into account our pieces of advice. 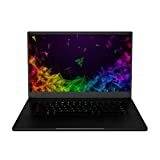 Your next step isn’t difficult too, – find the best laptop for your video editing among the items given on the list above.